In case nobody told you, Moroccans love to party. Yes it's true. They love to whoop it up for weddings, the birth of a baby, family members coming to town from far away or from the BLED, whatever. If there's an opportunity to get together, they're all about it. In fact, whenever I hear about an upcoming party (most of the time it's only 24hours notice--or less), I immediately start planning my "Possible Excuses For Not Going" list. This is no easy task you see, because there can be no repeats. Faking sick is too cliché and besides I've used that one too many times. Since I'm here without any family, playing the "prior engagements" card is not an option. Plus I don't work so scheduling conflicts are also out. As much as I object, I'm usually pushed, pulled, or dragged to these ridiculous parties. What makes them so bad, you ask? Hmph. Where do I start? I'll use a wedding as a basic example-- although you could pretty much swap titles for any other type of party. They're all exactly the same. The wedding trumps all because of the outdoor tent involved. The other ones just omit the tent and instead cram a tent's worth of people inside of a house. In America, when someone gets engaged, the soon to be married couple sends out invitations. Yes, actual paper invitations IN THE MAIL even. They are customized with the vital info for the big day and include RSVP cards so the families know how many guests to expect and exactly how many plates of perfectly planned out food to order. Let me stop right here. In Morocco, the "invitation" comes in the form of a phone call usually a few days (sometimes less) before the wedding. It's a general extension to whomever is within earshot of the phone call, plus any other relatives, friends, or peeps in your posse. This is mistake #1. How does the wedding couple know how many people are coming? They don't. How many tables/chairs to set up? It's a gamble How much food to prepare? They just wing it. It's all a shot in the dark. Most of the time, presumption and reality are way off target. If you've ever had the misfortune of attending a "Max Cap" wedding, you know exctly where this is going. 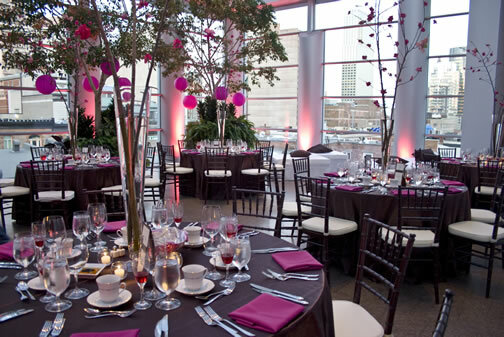 There are round tables that are standard for wedding receptions and are supposed to seat 8 people. I'll say it again, this time slowly and slightly more condescending: they are supposed to seat 8 people. For some reason, Moroccans totally ignore this. Of all the weddings I've attended here, there has never been less than 13 people at my table. Just when I didn't think it could get any worse, we broke the record at the last wedding I was at. Brace yourselves: 16 people at one table! What the heck?! Seriously. Talk about getting close and friendly with your neighbor. By the way, it's all women in the tents and the men either get together at a house nearby (since there are far less men in attendance) or have a separate tent. The guys are lucky. They don't have to go to the foo foo showing off ceremony. but the women are all crammed together in one hot, sweaty tent. Plates are a vital part of any wedding because the food is usually one of the main points of the party. Americans send the RSVP cards with the invitation and the guests mark what they would like to eat. Common choices are fish, chicken, steak, or a vegetarian plate. This lets the catering company know exactly how many individual dinner plates to prepare. Since many weddings have pre-arranged seating, the bride usually marks down who is sitting at what table and what each person ordered to eat. So for example, if you have a table of 8 people siting at table #24, the waiters know that 4 people ordered chicken, 2 ordered steak, and 2 ordered fish. Everything is done in a neat, orderly, and completely organized fashion. You have however many people at each table, and everyone eats the same thing. From the same dish. With no silverware. The menu has been the same for every party. Every. Single. Time. A bunch of women sit at a table that is covered with 2 layers of tablecloths made out of Saran Wrap. Sometimes you sit there for 2-5 hours before the food is ready. And don't forget that there is no alcohol of course so everyone is essentially just sitting around. Occasionally you'll have music but not always. Ocassionally some weddings will allow men to come in the tent but not always. Occasionally there is something to focus your attention on but not always. So you sit. And wait. And do nothing. In my case, you try to drown out the sounds of people yapping in Tashlaheed and think about something else. When the food is ready (always chicken) it is brought out on a giant plate. 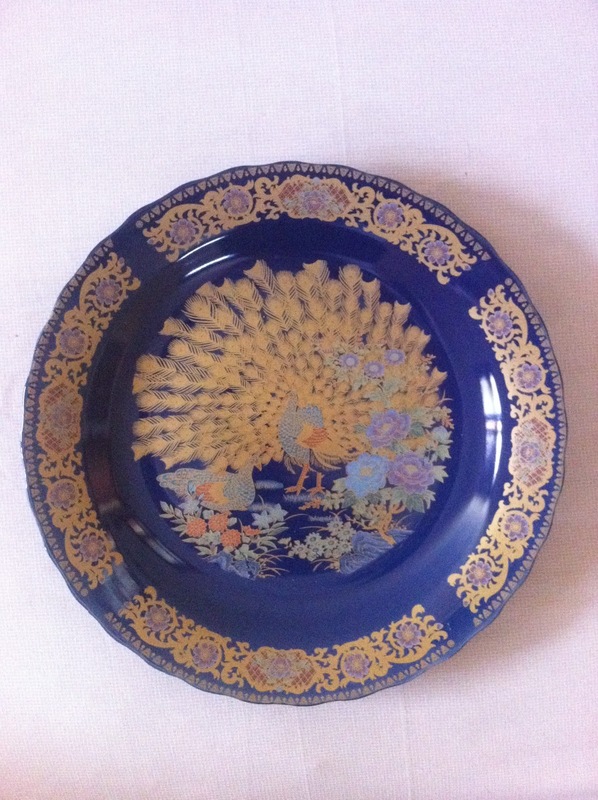 There's about a 90% chance that said plate will be navy blue and have some sort of Chinese decoration with peacocks on it. *stops, lets eyes wander, and ponders the peacock plate phenomenon* SNAP! Back to reality. Ok, so the plate comes out and it usually has three chickens on it and it's sitting in olive oil, seasonings and covered in green olives. They fry it in these giant tanks and there's usually a few women cooking these slowly for a tent full of hundreds of women. 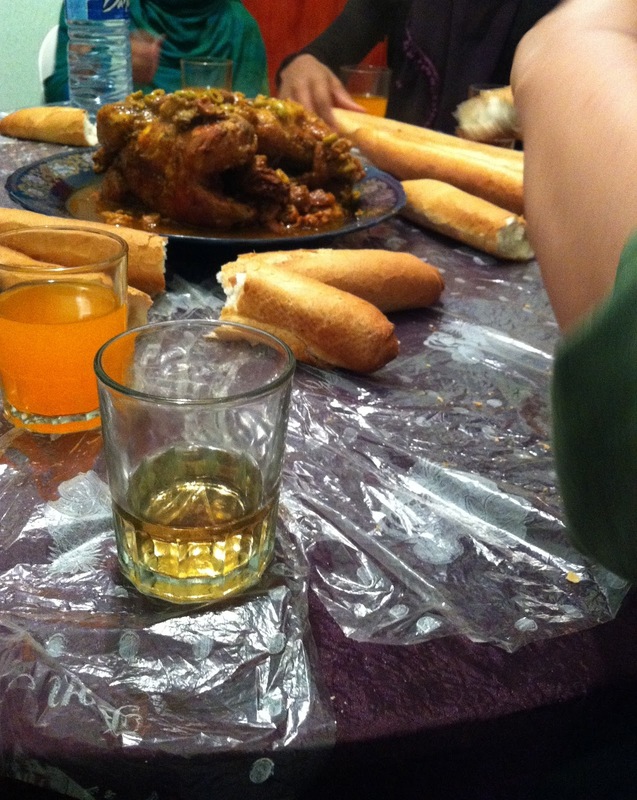 When it comes out, small loaves of bread called KHOBBS are set on the table. Not on plates, just on the table. Everyone rips off a part of bread--unless there's a bossy old woman at your table--then she collects the bread and distributes it amongst everyone. Once everyone has bread, it's time to eat. You take a small piece of bread in your right hand and use it as a scooper to rip off a piece of the chicken. Uness you're sitting next to the bossy old woman-- then she rips off chicken with her bare hands and sets it in front of you like you're a helpless American baby. Either way, you eat the chicken with the bread. Ok, let me interject: I'm not a food snob, but it's kind of hard to eat chicken and bread with no wetness or shmear of any kind of sauce. Dry bread with meat is just a little strange to me. Dipping it in the grease at the bottom of the plate is not sauce. Anyway, when everyone has finished devouring the chicken carcasses, they take away the plates. At this point, I'm usually full because my stomach has shrunk during the 5 hours of sitting there staring into space before the chicken was ready. Before you know it, another peacock plate of food is brought out. This time it's filled with beef and is covered in cooked prunes. Surprisingly, the prunes are really good. I actually really like the beef because it's tender and stringy. But by the time it comes out, I'm full from the chicken that I usually decide to pass on the beef altogether. Unless I'm sitting next to the bossy old woman-- then she looks at me like I'm crazy for not eating and says, "Shtah! Shtah!" which is "Eat! Eat!" in Tashlaheed. So then I have a prune and get my hand somewhere near the plate so she doesn't rip off beef with her greasy little fingers and put it in front of me. I get that it's a nice gesture or whatever but I'm 31 years old. I know how to eat. And I also know how nasty it is to have your food fingered and molested by some bossy old woman that you've never met before. When round two is finished, the waiters clear the plates and take the first Saran Wrap tablecloth off. This is actually pretty smart because all the gunk and nasty junk goes with it. The table is now ready for the last plate which is a mound of fruit. Typically you'll find the standard apples, oranges, and bananas and sometimes grapes, peaches, strawberries, or kiwi depending on the season. If you like fruit, now is not the time to be staring into space. The good stuff goes fast, and sometimes people put fruit in their purses for later. SOOOO rude, right? Yeah well it happens all the time. I know of a lady who filled a boot with all kinds of things-- a FruitBoot! What the heck? Why does she even have an empty boot with her? Seriously there is no shame in their game. It's not uncommon to see women take bread and then stuff it with chicken (and then again later with beef), wrap a napkin around it, and jam it into their purses. They don't even bother to be discreet about it, either. Now that's some ratchetness right thurr. This is where things get a lil' "wild." The ladies let loose, shake their hips and show off their moves on the dance floor. Notice I said ladies. Yep. It's an all-female dance party. And the dress code is hot sweaty Taksheedas made out of like...plastic or chiffon or polyester or some other type of incredibly impractical non-breathable fabric. Cue the musty, steamy, perfumed air. They all dance with eachother and bounce their shoulders while listening to one of two things: either a drum circle of women beating on the DEFF, (a tambourine-like thing without the jingles on the side) or Berber music. If you can call it that. It's less than desirable singing in tones and pitches almost unmatched by a natural human voice and it's ALL auto-tuned. Riiight. Not exactly my cup of tea. But not to worry, because this is the time where they hand out actual cups of tea. Perfect timing. Along with the tea comes these tiny paper plates lined with a napkin and about 5-8 different types of mini cookies. It's all sealed in a cellophane bag and tied at the top with ribbon. Some people bring them home and others have some cookies with their tea. Anyone who knows me knows that I'm a sugar monster and I love sweets. Of COURSE I untie that ribbon and get crackin'! Within 5 minutes I'm covered in crumbs and sugar and totally content. Is it wrong to say this is my favorite part of the wedding? By now, we're pushing 10 or more hours and I'm beyond my level of reasonable sanity. I have mentally checked out long ago and my body is starting to follow suit. Right about now is when my head starts bobbing and my chin hits my chest. It's time to go home. Actually, it's BEEN time to go home. Since saaaay...the time I got here. Seriously, I've sat in the steam tent for long enough. Somewhere between the chicken grizzle and the obnoxious gold costume jewelry, the Berber tongue whistling and ambush perfume sprays, I've had my fill. I've kissed enough strangers on the cheek to last a lifetime and as much as I'd love to stay and teach them how to Tootsie Roll, it's really time for me to roll out. Normally, men and women are not in the same tent. However the last wedding I was at was kind of mixed but not really. Guys watched in the beginning but got kicked out. Either way, press play! Now take another 30 seconds and watch this guy! The party is nowhere near finished and will probably last for hours after my departure. You can call me a fuddy-duddy since I call it quits around 5am and I'm totally ok with that. I guess these peeps have way more fun than I can handle. Or maybe I'm an amateur when it comes to making it through a Berber Bender. Either way, it's safe to say these parties are not my thing. So allow me to stand up and brush the cookie crumbs off my khaymar and make a sneak exit out the back of the tent. And no, I do not have a sandwich in my purse. What's with that dudes yellow rain boots? You are hilarious. My sister has been to many Moroccan weddings (she is married to a Moroccan) and always complains about waiting for the food. Still, I'd love to experience one at least for the novelty! I went to Morocco last summer for two weeks, and have been writing about it on my blog, but went without family. Next time I'll have to go back and see the "real Morocco". (And no, I do not have a sandwich in my purse.) you mean the are thieves ? ^^^ Well I don't know what you want to call it, but hiding food in your purse/boot/whatever to take away is a little strange. This is so funny. I can totally relate. My husband is African and I hate going to any kind of function with him. Men and women are always separate. I'm a vegetarian, a word that apparently doesn't exist in any African language. So eating for me is never an option. And the women just stare at me and speak in their language. I just KNOW they are talking about me. I feel your pain. Ha ha!! I love it! I'm living in Morocco and can totally relate to what you said! I HATE going to functions as well. I always look for excuses so not to attend a wedding or a birth celebration. I am not good in sitting for hours so I can totally relate. PS2: The "doggybag" style sandwich is actually for later on in the evening/morning. 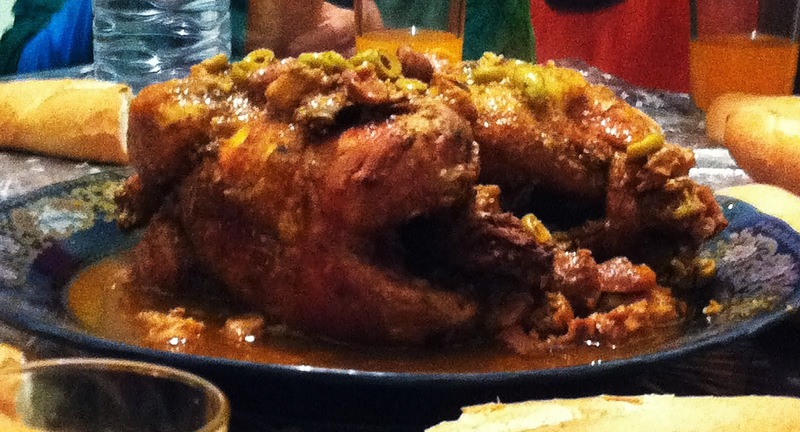 As you said rightfully, the wedding goes on and on so the chicken in the khobz cames in handy ! PS: "shtah" actually means "eat" in Tashlaheet or "shlayha". "Koul" (most often pronouced as "kooley") means eat in Darija. I never said I wanted Moroccan nationality. I'm American and always will be. I have no desire whatsoever to become a citizen of Morocco. Smart tips and amazing ideas on jacksonville apartment to help you feel relaxed in Jacksonville.